When shopping at the commissary or exchange, as with shopping at any store, it’s important to make sure you’re getting your money’s worth, but that isn’t always easy with the hustle and bustle of military life at Schofield Barracks in the Wahiawa district of Hawaii. 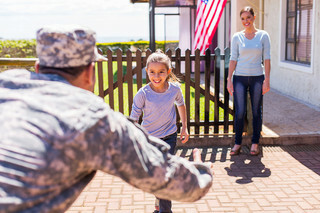 At MyMilitarySavings.com, we understand the difficulties military shoppers experience when trying to save on a tight schedule. That’s why we’ve made it our mission to bring together coupons and discount information from all over to help you save money at the exchange and commissary without spending so much time searching. In addition to the savings we provide for the commissary and exchange, we also offer helpful tools to make it easier to plan your shopping trips. The “My Shopping List” tool, for example, will allow you to build a digital shopping list from the items featured on our site, then print it out or take it with you on the go on your smartphone. And, by customizing the My Home Base page to your location, you can find discounts and helpful information relevant to your local exchange and commissary. To learn more about how we can help make saving at the commissary and exchange at Schofield Barracks easy and hassle free, sign up for your free account at MyMilitarySavings.com today.